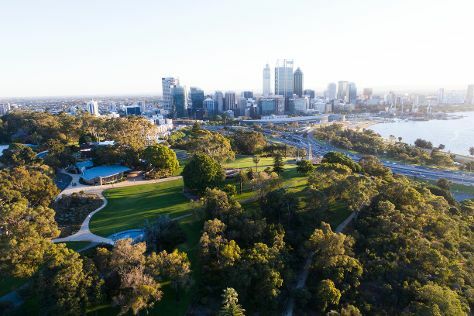 Start off your visit on the 2nd (Thu): contemplate the long history of The Perth Mint, then appreciate the history behind Kings Park War Memorial, and then take in nature's colorful creations at Kings Park & Botanic Garden. For more things to do, photos, ratings, and tourist information, you can read our Perth trip planner . London, UK to Perth is an approximately 20-hour flight. Due to the time zone difference, you'll lose 8 hours traveling from London to Perth. When traveling from London in May, plan for somewhat warmer days and about the same nights in Perth: temperatures range from 25°C by day to 11°C at night. 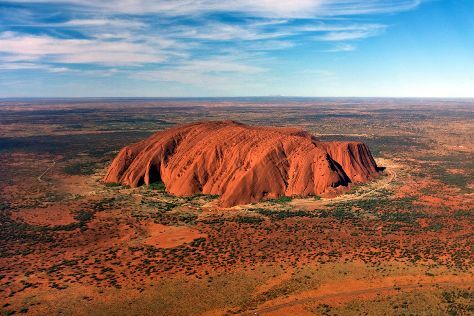 Wrap up your sightseeing on the 2nd (Thu) early enough to travel to Uluru-Kata Tjuta National Park. Uluru-Kata Tjuta National Park is known for nature, museums, outdoors, trails, and classes. Your plan includes some of its best attractions: take in the dramatic natural features at Uluru, trek along Kuniya Walk, take in the awesome beauty at Kata Tjuta, and head outdoors with Walpa Gorge. For other places to visit, maps, more things to do, and more tourist information, use the Uluru-Kata Tjuta National Park tour itinerary maker . Fly from Perth to Uluru-Kata Tjuta National Park in 9.5 hours. Alternatively, you can drive. You'll lose 1 hour traveling from Perth to Uluru-Kata Tjuta National Park due to the time zone difference. Expect a daytime high around 28°C in May, and nighttime lows around 12°C. Finish up your sightseeing early on the 5th (Sun) so you can travel to Melbourne. Melbourne is known for museums, shopping, parks, zoos & aquariums, and nightlife. Your plan includes some of its best attractions: admire the natural beauty at Royal Botanic Gardens, examine the collection at Melbourne Museum, admire the masterpieces at National Gallery of Victoria, and choose your vessel at Melbourne Boat Hire. For reviews, photos, other places to visit, and more tourist information, you can read our Melbourne day trip planning app . Traveling by flight from Uluru-Kata Tjuta National Park to Melbourne takes 5 hours. Alternatively, you can drive. Expect a bit cooler temperatures when traveling from Uluru-Kata Tjuta National Park in May; daily highs in Melbourne reach 20°C and lows reach 9°C. Finish your sightseeing early on the 8th (Wed) to allow enough time to travel to Sydney. Sydney is known for nightlife, trails, beaches, parks, and museums. 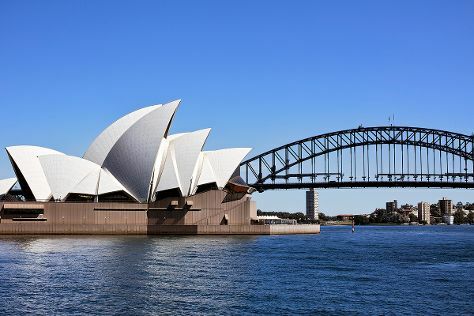 Your plan includes some of its best attractions: don't miss a visit to Sydney Opera House, take a stroll through Darling Harbour, snap pictures at Sydney Harbour Bridge, and admire nature's wide array of creatures at Sea Life Sydney Aquarium. To find other places to visit, ratings, traveler tips, and more tourist information, refer to the Sydney road trip website . Traveling by flight from Melbourne to Sydney takes 3.5 hours. Alternatively, you can do a combination of shuttle and flight; or drive. Expect a bit warmer temperatures when traveling from Melbourne in May; daily highs in Sydney reach 24°C and lows reach 14°C. Wrap up your sightseeing on the 11th (Sat) early enough to travel to Cairns. On the 12th (Sun), discover the deep blue sea with a scuba or snorkeling tour. Here are some ideas for day two: stroll through Esplanade Boardwalk, enjoy some diversion at Esplanade Lagoon Pool, and then admire the sheer force of Josephine Falls. To find traveler tips, maps, ratings, and more tourist information, go to the Cairns trip itinerary planner. Traveling by flight from Sydney to Cairns takes 6 hours. Alternatively, you can drive; or take a train. Traveling from Sydney in May, expect Cairns to be somewhat warmer, temps between 32°C and 24°C. Finish your sightseeing early on the 13th (Mon) so you can travel back home.